WASHINGTON, DC – DC Public Schools Chancellor Michelle Rhee announced today the appointment of Rachel Skerritt as principal of Eastern Senior High School in Northeast Washington, DC beginning with the 2011-2012 school year. The appointment was made after an extensive search and a significant engagement process that involved all parts of the Eastern community, from alumni, to the parents of current and potential students, to interested members of the broader community. The Eastern community came together in February 2008 to begin re-imagining the school both physically and programmatically. Regular meetings continued through the principal selection process; a thirty-member cross-section of the community group advised on the job description, prepped for and interviewed every candidate, and sent extensive feedback to Chancellor Rhee. 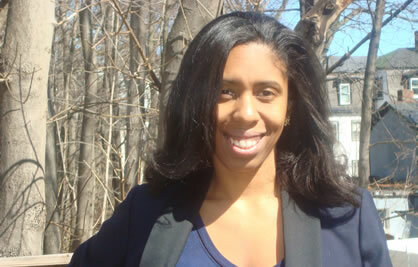 Principal Skerritt began her career in education as a secondary English Literature teacher in a Boston public high school. After teaching for seven years, she moved into school leadership positions at her school and then into a principal fellowship program. With her experience in teaching and school leadership, she became a principal at a college-preparatory Boston public high school before moving into a central office role as the Chief of Staff for Boston Public Schools. Principal Skerritt holds a bachelor’s degree in English and African-American Studies, a master’s degree in secondary education and a master’s in educational administration. Principal Skerritt will spend the 2010-11 school year planning, and will transition into the principal’s office in July 2011. Eastern’s current principal, William Chiselom, is in his third year with the Eastern community and has brought consistency and a positive student culture to the school. He was critical in the school’s successful move into its new, state-of-the-art facility. Chancellor Rhee and Principal Chiselom have discussed several school leadership options and will confirm his new position in the spring of 2011. Eastern recently has undergone a $77 million modernization and now boasts new state-of-the-art science and technology labs, Internet and cyber cafes as well as a working ambulance in the new health/science practical lab for real-world emergency medical assistance training. I would love love to read some impressions of Ms. From folks who participated in the selection committee. Please share. What do we have to look forward to?